Please kindly notify us by phone or email if you would like to modify or cancel your reservation. Front Desk: 7:00 am to 10:00 pm. Check-out time is by 11 am. Late check-out can be provided based on availability. If you will require a late check-out please let the front desk staff know in advance. The entrance door will not automatically open between 10:00 pm and 7:00 am, within that time please use your card key on the touch panel to gain access to the premise. Smoking is strictly prohibited on the Hotel premise. A smoking area is set up at the hotel entrance. Guests who are found smoking in the rooms will incur sanctions. We ask for your understanding and cooperation. We kindly ask to all our guest to take some time to go through our terms and conditions before your stay. Account Holders Name: CIP Co.,Ltd. Please pay in JAPANESE YEN and specify Reservation No. in wire transfer message. Please notify us by email or phone call once you have processed the payment. 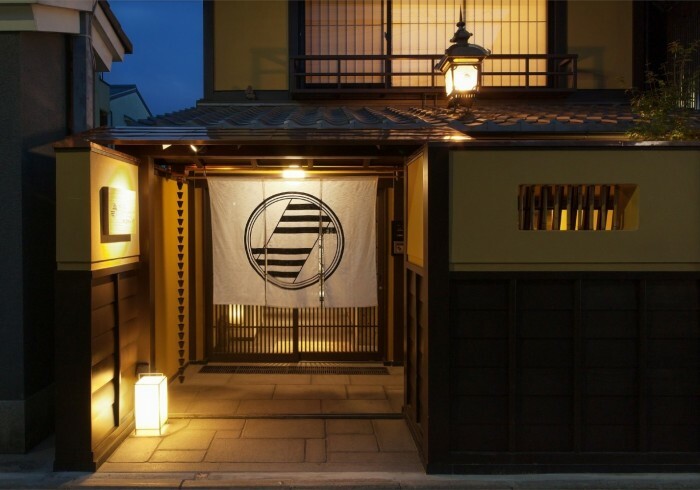 Hotel Ethnography Gion Shinmonzen will be waiting for you just behind one of the most famous areas in the Gion district of Kyoto - Shinmonzen Street. The Shinmonzen neighborhood saw its original growth spurt due to its close proximity to the majestic Chion-In Temple - the head temple of the Jodo sect of Buddhism. In the early Meiji period (mid 1800’s) this area came to be known as kobijutsu no machi, which means “the antiquarian town” as all the shops that made their trade dealing with old calligraphy, art and antiques came to gather in one small alley.On the south side, the Gion Shinbashi area maintains its original appearance with its preserved old machiya tea houses that were built between the end of Edo period (early 1800’s) and the beginning of Meiji period (mid 1800’s) as well as its stone street running parallel to the Shirakawa River. The Shinmonzen area is an area in the city that has been designated as a protected historical district of Kyoto and, as such, has been protected by the city to this day. Please allow yourself to enjoy the beautiful and charming atmosphere of the Gion district while leisurely strolling around the surrounding neighborhoods.